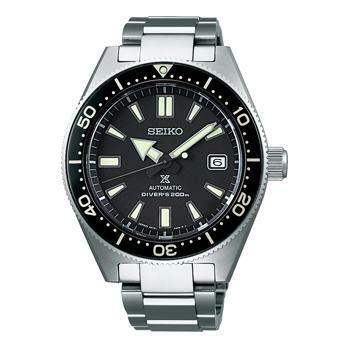 Seiko's reputation today as a leader in watches for divers is no accident of fate. This reputation is the direct result of a long tradition of innovation that stretches back over 50 years, during which time Seiko has been responsible for creating many of the features that are now widely accepted as the industry norms. 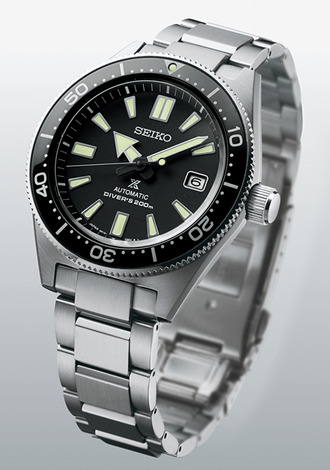 Indeed, The ISO standards have been based, in part, on aspects of Seiko's diver's watches. Seiko inventions like the accordion-style strap, the use of titanium as a case material and the extra wide hands have helped to define the world's expectations of what a diver's watch should be. 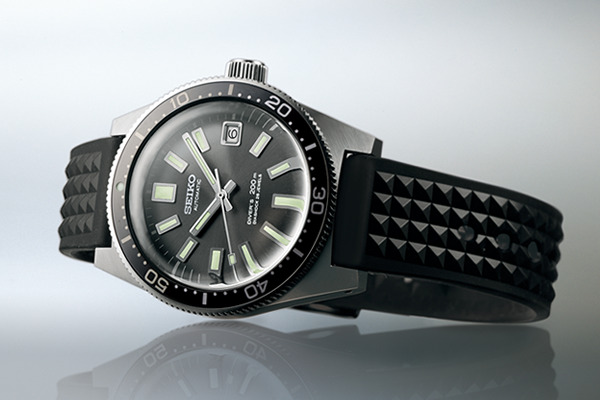 Seiko's first diver's watch was made in 1965. 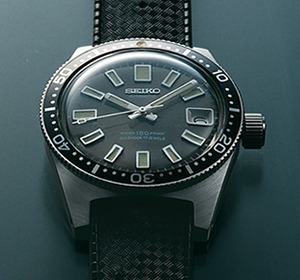 Seiko's and Japan's first ever diver's watch was made in 1965 at a time when watches with high levels of water resistance were not widely available. It incorporated an automatic mechanical caliber and delivered 150m water resistance. The watch was designed for maximum reliability and legibility in the harshest conditions and was used by the Japanese Antarctic Research Expedition from 1966 to 1969. At that time, when navigational aids were rudimentary, an accurate watch that could be used in astronomical observations in polar regions was vital and the Seiko diver's watch proved itself to be up to the challenge by performing well on every expedition. The watch's significance, however, went far beyond satisfying the needs of Antarctic explorers. 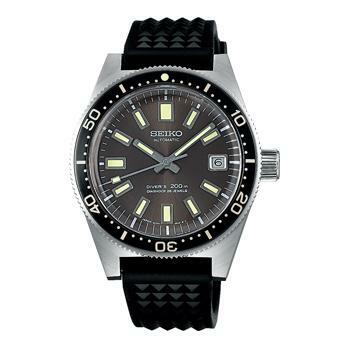 As leisure diving grew in popularity, the watch found favor with an ever wider public and set Seiko on a path of continuous development in durable, accurate and safe diver's watches that has continued to this day. The Prospex re-creation of this 1965 classic is faithful to the original design, but thoroughly up-to-date in its technology. It incorporates Caliber 8L35 which was specially designed for diver's use and is made by Seiko's skilled craftsmen and women in the Shizuku-ishi Watch Studio in Morioka in the north of Japan. The overall re-design was entrusted to Nobuhiro Kosugi, a recipient of the prestigious Medal with Yellow Ribbon and Contemporary Master Craftsman awards. Kosugi has kept faith with the original, as is attested by the 3D embossed hour markers which stand up in sharp relief and yet are an integral part of the dial itself, the luminous dot at twelve o'clock, the slim profile of the case and the narrow bezel. The case is virtually identical to the original, but its diameter has been increased by 1.9mm. While faithful to the 1965 design, this new Prospex diver's watch has greatly enhanced functionality. It has a box-shaped sapphire crystal and 200m water resistance for greater reliability and a silicone strap for enhanced wearability both outside a wetsuit and on the wrist. Durability is also enhanced by the super-hard coating which protects the watch from scratches. This hand assembled and adjusted masterpiece is available in a limited edition of 2,000 from July 2017. The case back bears the same dolphin emblem as the 1965 original. 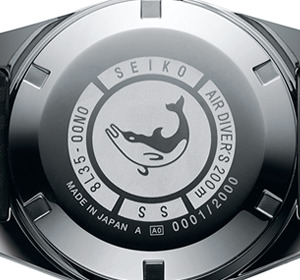 In addition, two further creations pay homage to Seiko's 1965 diver's watch. 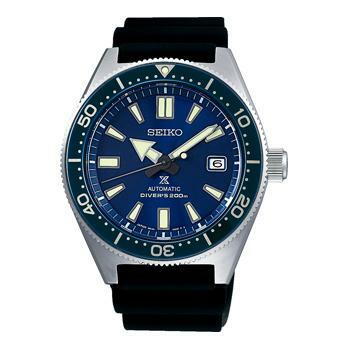 These new timepieces also echo the design of the 1965 original, but are thoroughly up-to-date in their functions and meet Seiko's stringent standards for diver's watches. The hands are wider and carry long-lasting Lumibrite so as to be highly legible even in dark water. The water resistance has been increased to 200 meters and the crystal is sapphire for greater strength and durability and has an anti-reflection coating. The watch sits perfectly on the wrist and the Zaratsu polished line on the case side adds a touch of contemporary refinement. One is an all-steel version, while the other features an accordion-style silicone strap which combines high durability and comfort. The accordion-style strap was invented by Seiko in 1975 as a solution to the problem of the expansion and contraction of a diver's wrist at different depths. These watches will be released in November, 2017.